Parvin Fahimi, who lost her son to repression by the Iranian state, hopes the agreement global powers reached with Tehran on its nuclear program last month will not only remove sanctions and the threat of war, but also lead to improved human rights inside the country. Fahimi, whose 19-year-old son was killed in the 2009 state crackdown that followed the disputed reelection of Mahmud Ahmadinejad as president, is among some 50 prominent rights activists, intellectuals, and academics who have joined a social-media campaign urging the U.S. Congress to back the deal. Under the deal reached in Vienna on July 14 by Iran and six global powers — the United States, Russia, China, Britain, France and Germany — Iran is to significantly limit its nuclear activities in exchange for sanctions relief. Activists who have taken to YouTube and social media in support of the agreement are hoping that it will ultimately strengthen the hands of the moderates and result in an opening up of the political situation inside the country. Many of them are based in Iran — including student activist Zia Nabavi, who is serving a 10-year prison sentence, and top human rights lawyer Nasrin Sotoudeh, who was released from prison in 2013. Prominent Tehran-based filmmaker Jafar Panahi, who has been pressured by the Iranian establishment over his work, and exiled Iranian Nobel Peace Prize winner Shirin Ebadi have also joined the campaign. The son of Mehdi Karrubi, an Iranian opposition figure who remains under house arrest for challenging the Iranian establishment over the 2009 vote and highlighting human rights abuses, has also added his voice to those publicly supporting the deal. Their messages, in English or in Persian with English subtitles, have been uploaded to YouTube and widely shared on social media. "I believe that the international isolation of countries is not in the benefit of democracy and civil society, on the contrary it can lead to more repression," says Fahimi in a video where two pictures of her dead son are seen on a table behind her. The campaign comes days after a group of exiled Iranian activists issued an open letter opposing the deal while warning that "appeasing the Iranian regime will lead to a more dangerous world." 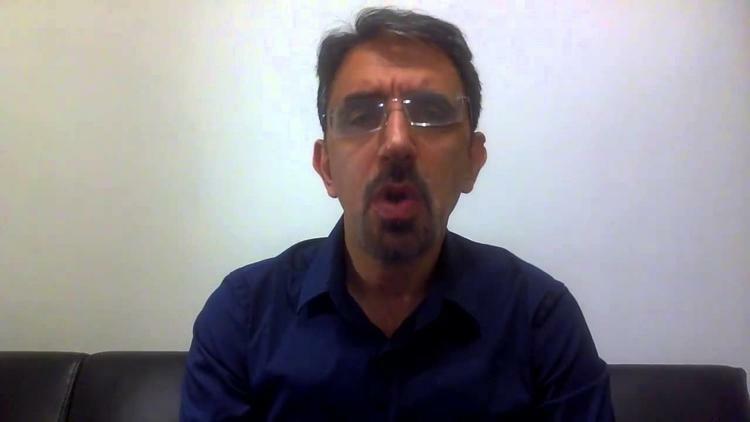 Among the signatories of the letter is former political prisoner Ahmad Batebi, who appeared in a television ad by a pro-Israel group and argued that because of its torture record, Iran cannot be trusted to fulfill his commitments under the nuclear agreement. Organizers of the Internet campaign in favor of the deal say their effort is not a reaction to the move. But they say they want to take the human rights argument away from those opposing the deal. U.S.-based activist Ali Abdi, who has helped coordinate the campaign in favor of the nuclear agreement, says the campaign aims to demonstrate that "those who have been directly hurt" by the Islamic republic are largely supportive of the deal. "The main objective is to show that the Iran deal would benefit not only the economic situation in Iran and the livelihood of 80 million people, but at the same time it would be also be beneficial to the human rights situation and also for the [pro-democracy] movement, unlike what many of those who oppose the deal claim," Abdi told RFE/RL. "War and sanctions create crisis, and crisis is the death of democracy, the death of peace and human rights," film director Panahi says. The jailed student, Nabavi, says in his audio message that his support for the deal is "neither a validation of the injustices placed upon me nor an approval of the human rights situation in Iran." "I therefore hope that American citizens, like the majority of Iranian citizens, will reach out to their representatives in Congress and ask them to support this deal and to give dialogue and diplomacy a chance for success," he adds. Sotoudeh, who was jailed for several years and banned from practice, says she criticizes "the extremist rhetoric of the Iranian hard-liners." She adds, "Likewise, I call on Americans overseas to urge their representatives in Congress to refrain from using the language of threat." Ahead of September voting in the U.S. Congress on whether to approve the deal, President Barack Obama is seeking to win enough backing from lawmakers to prevent opponents from killing it. Speaking to RFE/RL in June, Sotoudeh said the deal could help those who are fighting for more rights in the Islamic republic by providing them with more breathing space. In recent weeks dozens of Iranians in the United States, Europe, and elsewhere have held a number of public gatherings in support of the deal. Earlier this month, dozens of prominent Iranian-Americans in academia, the tech industry, and business issued a letter published in The New York Times in support of the nuclear agreement. "Diplomacy with Iran has the potential to do much more than prevent a war," the letter said. "It creates a chance for Americans and Iranians to create a brighter future that benefits all of our children."